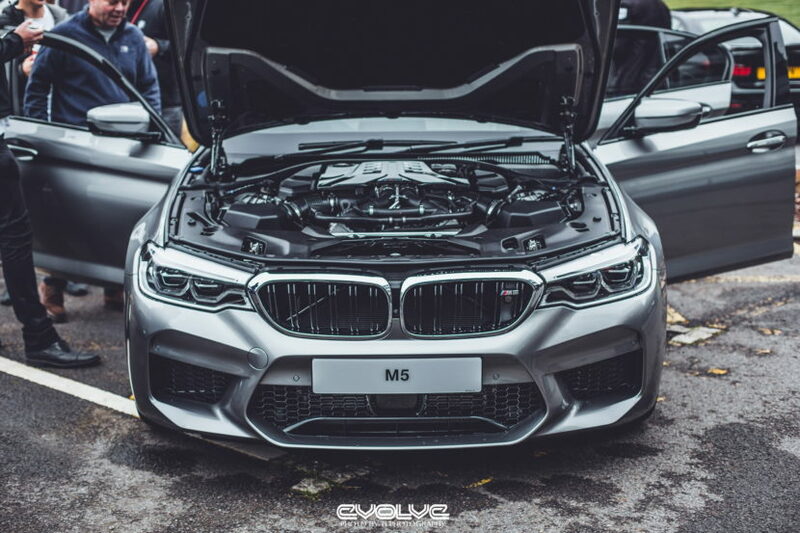 This past weekend, our friends over at Evolve Automotive attended the PistonHeads Sunday Service which was held at BMW HQ in the UK. As always, the UK folks have put together a good show for their guests, including the entire generations of M5 models. 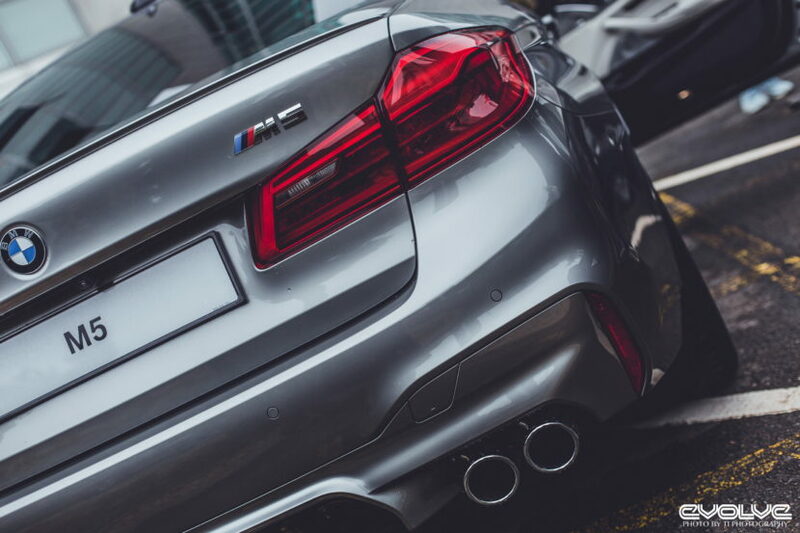 One of the M5s exposed there was the all-new F90 M5 which was just unveiled in Frankfurt. To make things even more special, they used a striking color for the showcar – Donington Grey Metallic. 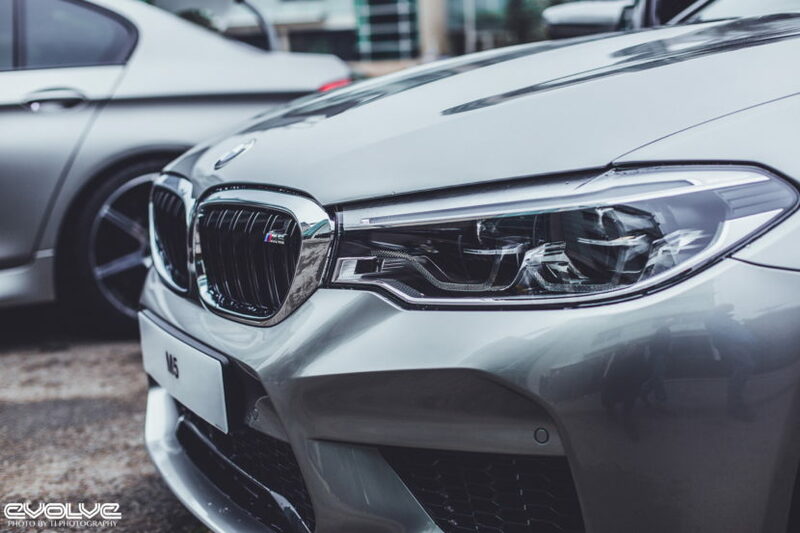 The stunning grey shade was made popular by the X6 M and it is part of the color palette for the new sports sedan. 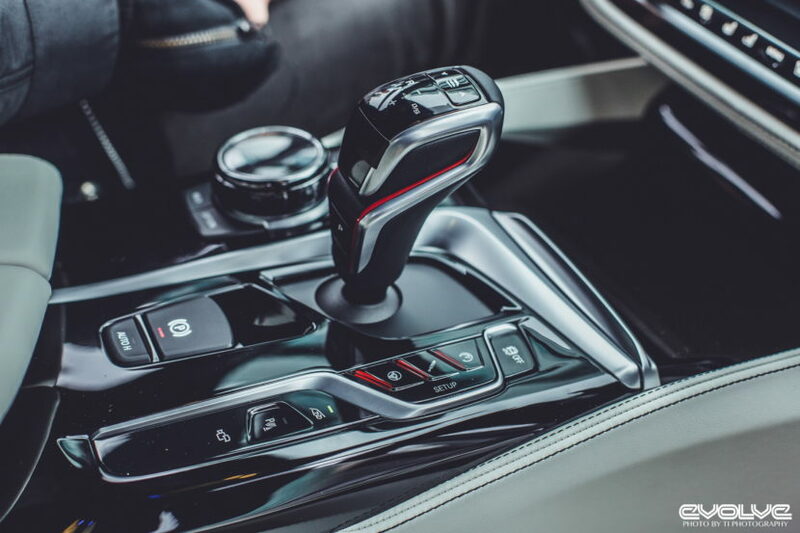 According to our sources, the US-specific ordering guides list the following colors: Alpine White, Black Sapphire Metallic, Singapore Gray Metallic, Snapper Rocks Blue Metallic, Marina Bay Blue Metallic, Donington Grey Metallic and Bluestone Metallic. 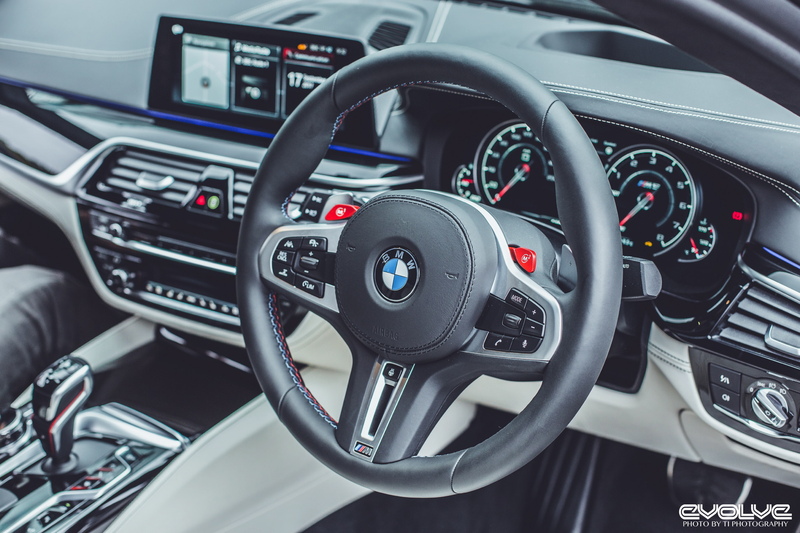 Other special colors offered for an extra cost or through the BMW Individual Program include the Azurite Black Metallic, Champaign Quartz Metallic, Almadine Brown Metallic, Rhodonite Silver Metallic, Frozen Marina Bay Blue, Pure Metal Silver and Frozen Dark Silver. 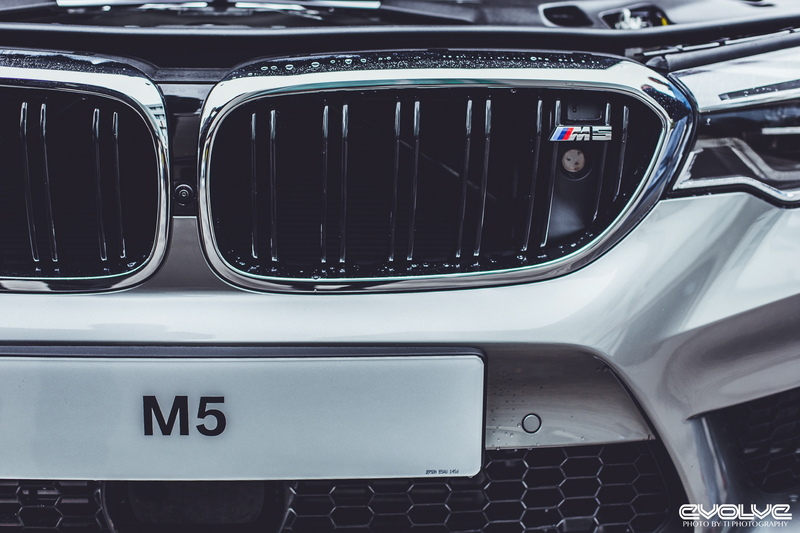 To see more real life photos of the new M5 in Donington Grey, click below. Next post Which would you buy: BMW M2 CS or Porsche Cayman GT4? It is unfortunate that Donington Grey has been limited to only the F85 and F86 until now. Not totally true… Plant Spartanburg does not offer BMW Individual for the US market. Not stunning, IMO… And there aren’t enough full view shots to make any real judgement. That color makes it essentially blend in with the rest of the cars on the road… Meh. He is right, though, that there aren’t enough (full and clear) photos to make a definite judgement. I have seen the colour on an X6, not yet convinced that it looks that great. Sometimes it takes a certain model or shape to bring the colour out, maybe the F90 is that model. Until better photos come out it is difficult to say if the colour on it is stunning. X6M in multiple angles & lighting is pretty damn epic in this shade. Im one of those who likes to blend in with the crowd. I keep it clean and simple so its just another car on the road. But it isn’t. those interiors look total knockout in M spec !! simply wow !! space gray revival …. yay !